Similar to New York City, Barcelona is a bustling cosmopolitan area with a yearn for culture and an ever-evolving food scene. But just like in every city, there are classics. Here are some of our favorite eats, inspired by the new cookbook Boqueria: A cookbook, from Barcelona to New York by Marc Vidal and Yann de Rochefort with Zack Bezunartea. 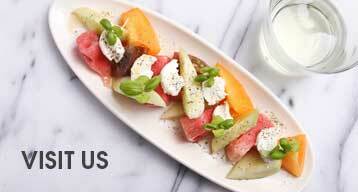 Boqueria is a bustling Spanish tapas bar with five locations in New York City and one in Washington D.C. The three creators of this new cookbook are all a part of the Boqueria restaurant team and the Boqueria cookbook team. With their restaurant and Spanish-living experiences, they create a stunning collection of pages that give a glimpse of what the Barcelona locals see and eat in their city. Not just recipes, the book delves deeper into the culture and history of favorite tapas foods. It’s a must-read for the avid traveler who loves hosting dinner parties. Tapas are the perfect party theme! Montados are simply olive oil toasts, but they are such a staple in a tapas spread. Serve topped with tuna, anchovies, chorizo, sauces, spreads, potatoes, eggs, spices, or vegetables. Get creative! 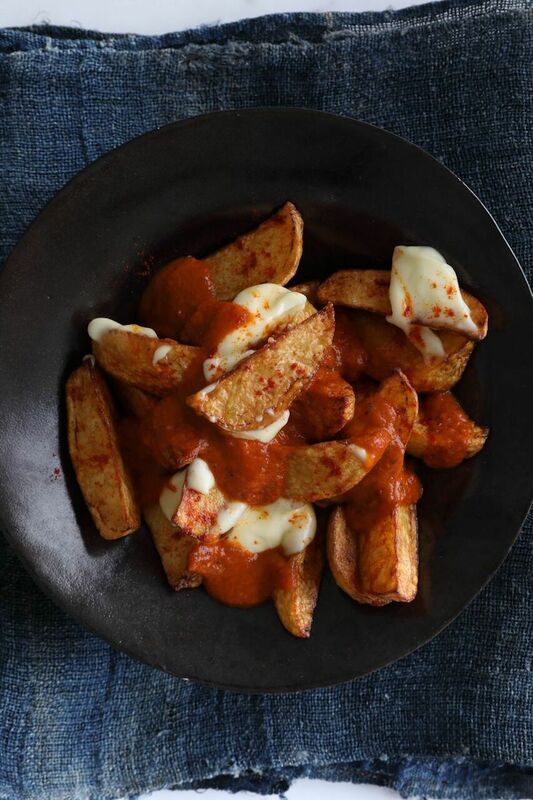 This classic dish of fried potatoes served with aioli and a spicy tomato sauce is true comfort food. 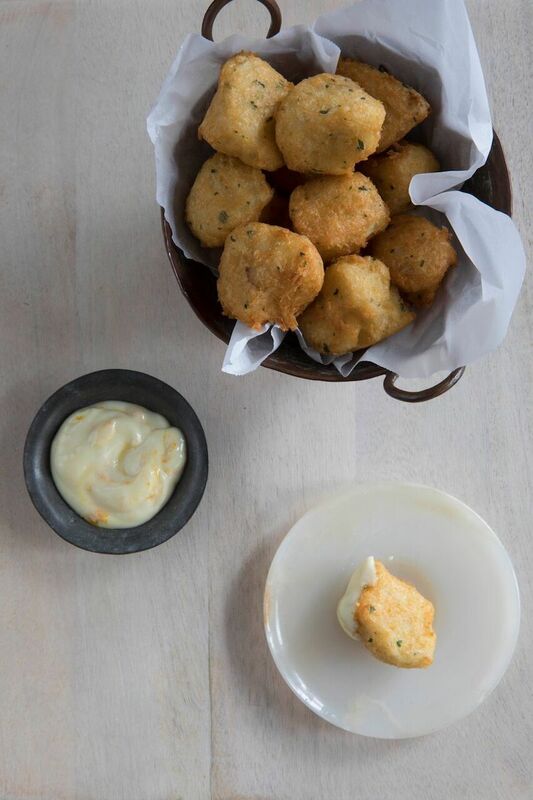 While they can be filled with just about anything, the typical Spanish croqueta is loaded with fine Spanish ham before frying. It would be foolish to leave a US tapas bar or all of Spain without trying salt cod. Most versions are a combination of potatoes and cod that are fried in the shape of balls. While most of us are familiar with the Spanish tortilla omelet, this cookbook showed us the light as far as huevos estrellados. 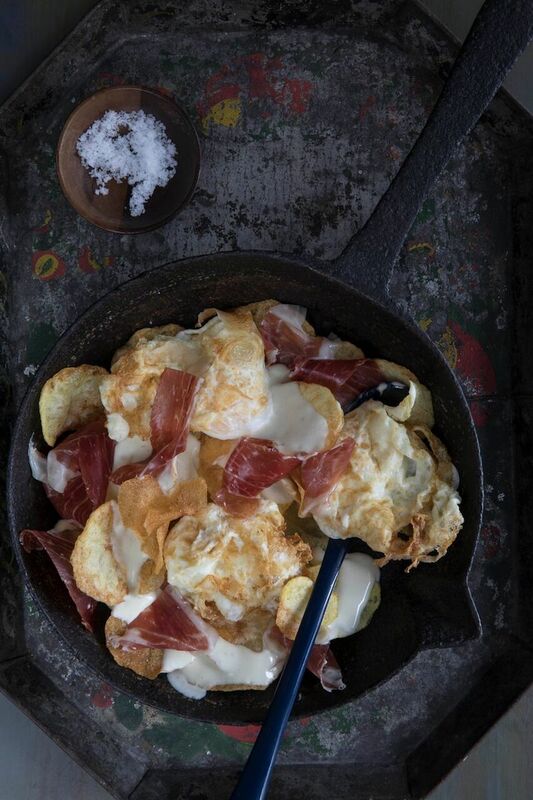 This dish is a beautiful mix of crispy fried eggs with potato chips and Iberian ham, the perfect food with drinks. 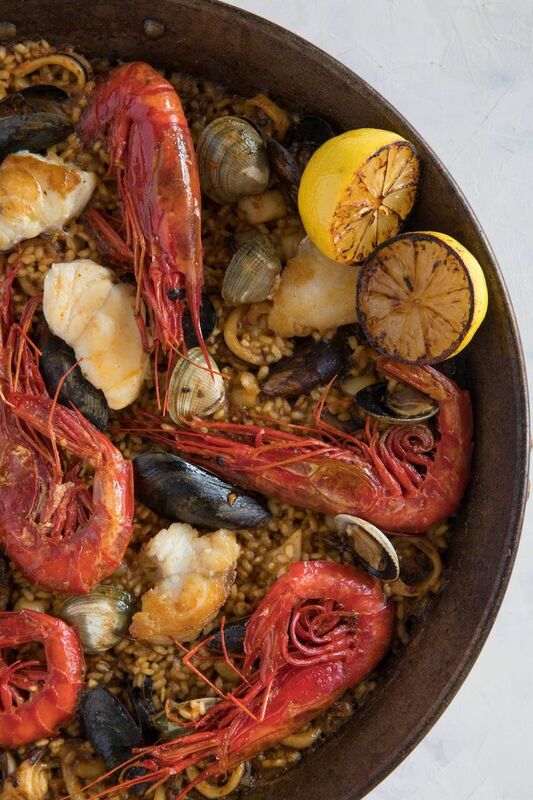 The Boqueria book has a beautiful recipe for a Catalan-style seafood paella that is beautiful with saffron and a mix of fish. The book also has recipes for a few different rice dishes that seem to be a nod to the classic paella we are familiar with. From steamed mussels to charred octopus, cockles or sardines, the book delves into a beautiful chapter on the seafood of Spain. It’s a rich part of the culture and the dinner table that cannot be ignored and nor would we want to. The book shows a range of recipes and they all are mouthwatering. We’ve probably all tried churros or flan, but what about turrón? 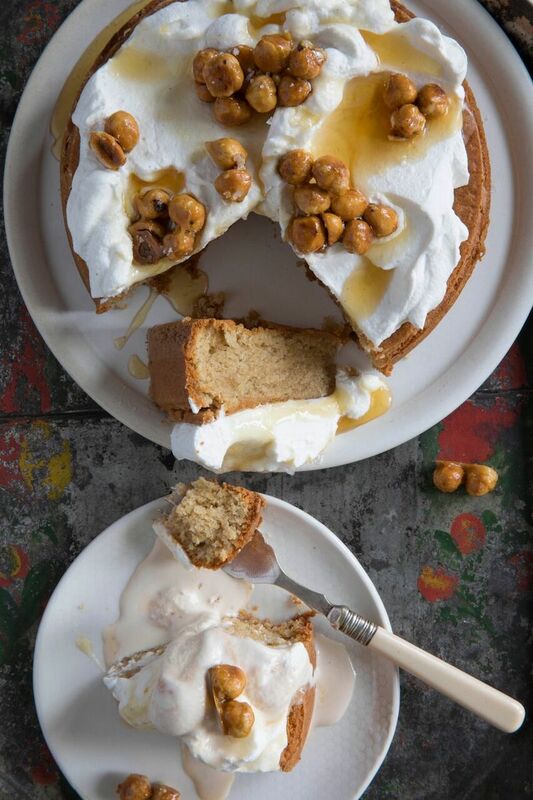 A perfect honey nougat that is often made around the Christmas holidays, this cookbook shares recipes for a buttery, nutty cake that is topped with honey and candied hazelnuts. It will remind you of a nuttier dulce de leche.